The rest of the week passed in a haze. Catilen stayed up late marking papers and projects. Just in case. She owed her students that much. Preoccupation with the upcoming journey kept her awake, speculating on what they might find. She knew Damian hoped to find magic. Anything to lend credence to his theories and garner acceptance of his research. But he couldn’t hope to overturn centuries of intellectual discourse in a single weekend. He’d need strong evidence to impress the scientific community. Results needed to be replicated before anyone took them seriously and a large portion of Damian’s proof might soon disappear. On Friday afternoon, as she rolled piles of clothing for ease of packing, Catilen realized she still didn’t know what she expected to find. 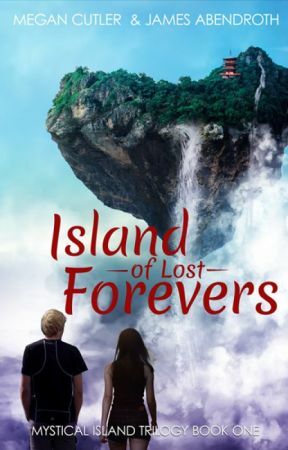 If the island disappeared while they were on it, she might be stranded for the rest of her life with only Damian Cooke to keep her company. She didn’t share his conviction about leaving nothing behind. She had her mother to consider. Three years ago, Delana’s deteriorating health forced Catilen to put her in a home. It hurt, but her mother’s condition required constant care, something she couldn’t provide and work at the same time. She’d be well cared for, even if something happened to her daughter, but Catilen still felt she was abandoning her. You know if she were here, she’d tell you to go. Catilen smoshed as much air as possible out of her clothing and forced the suitcase zipper shut. She’d planned for warm and cool weather, plus extras in case she got wet or dirty. She stuck to essentials, doubting they’d encounter modern plumbing while they were gone. Aren’t you over-thinking all this anyway? They might arrive to find the island just like all the others located off the California coast. They’d probably return from an extended camping trip, bemoaning their waste of time. She retrieved a dusty sleeping bag from the closet, gave it a quick vacuum, and rolled a pillow into it. Damian might consider his job at the university an interim position while he searched for a foothold in a less common field, but she poured everything into her work. 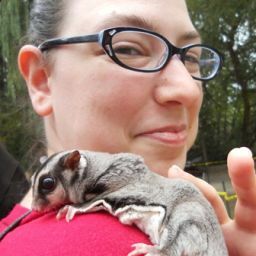 She mentored students over summer break and reviewed manuscripts in her spare time. Then again, one literature professor was much like another. Those rising stars could find other mentors. With the year winding to a close, and the bulk of her grades prepared after her recent work binge, she wouldn’t be missed. She loved her job, but it didn’t mean the world to her. Her life lacked something. Like Damian, she couldn’t find it here. Catilen put her suitcase and sleeping bag by the door, next to the emergency first aid kit. Her packing tended, she prepared for the night’s ritual. A quick check of her supplies confirmed she had everything they needed. She spent an hour clearing the yard of stray leaves and stones, so neither of them would stumble in the dark. Despite her doubts, she resolved to see the venture through. She’d spend her whole life regretting if she threw away this chance. With plenty of time left before moonrise, Catilen prepared dinner. It was a humble affair; she didn’t like to eat much before traveling. The butterflies dancing in her knotted stomach banished her appetite anyway. Damian arrived just as the sun dipped below the horizon, igniting the sky with brilliant crimson and burnished gold. He brought a small overnight bag inside with him, leaving the rest of his gear in the car. They’d agreed to leave from Catilen’s house, since her backyard was perfect for the renewal ritual. He set the bag in the foyer and wriggled his feet free of his shoes. Catilen waved him inside and offered him a drink. In stark contrast to their last get-together, she wore jeans and a baggy t-shirt, having changed when she got home from work. Damian wore similar attire, the hems of his jeans ragged from use, the decal on his t-shirt faded and cracked.